SOLD! Vintage leather jacket A 1960's Cafe Racer sz 40 with Talon zippers Ready to Ride! On Sale this weekend only! normally this Silver bracelet runs $220-260 so if you like it and want it at a discount better get it now! what a great gift for your loved one. I think Anyone would love this! You are looking at a Very rare design in the Native American jewelry circles.This is a vintage Navajo pawn Sterling Silver bracelet with Feathers intertwined at the top center. I buy and sell quite a bit of Navajo jewelry and over the years this is the only one of this design that I have seen, hence the price I am asking. If this were any other standard design I'd let it go for less. This bracelet dates bask to at least the 60's and likely as old as the 50's .This is a nice thick silver bracelet and since it's width across the top is just under 1/2" inch it is not too wide for a woman and still heavy and wide enough for a man and has some weight to it. The bracelet is marked 925 for Sterling silver and truly is one of a kind. Any man or woman would be proud to own and wear this. I have been wearing it for a while and it is time to let it go on it's travels and give some joy to someone else's wrist. You can adjust the bracelet to fit you and it can be squeezed down for a woman or spread a bit for a man as you can see in my photos. Very nice very cool, don't let this one pass you by.... Thanks for looking! 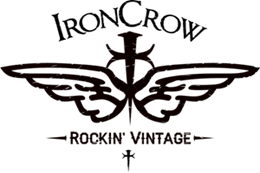 be sure to check out all of the items on Iron Crow, I appreciate your patronage.